Beautiful Vintage Church Window Image – with Doves! Today I’m sharing a Beautiful Vintage Church Window Image! Shown above is a Black and White Illustration of a wonderful Gothic Style Arched Window! 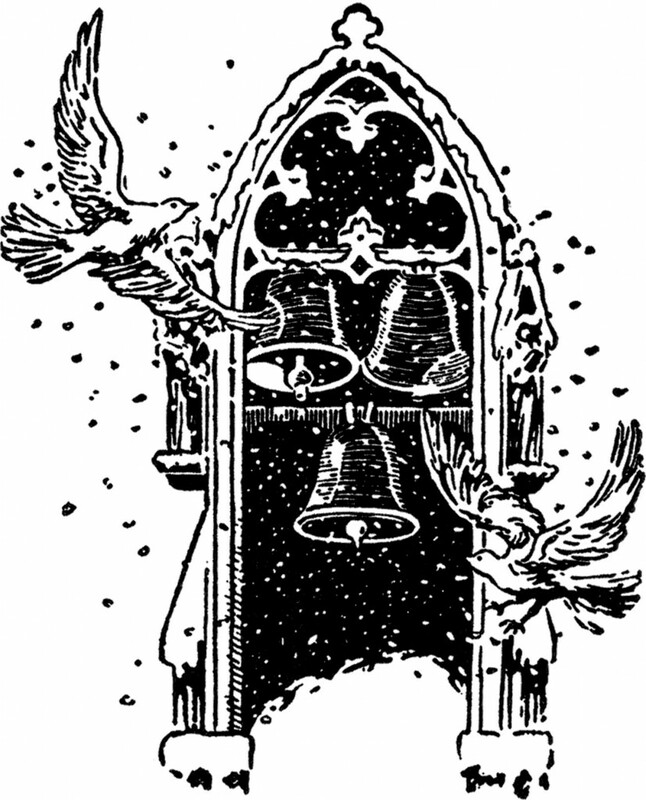 The Window features a snowy scene with Church Bells ringing and Doves flying about. Such a charming scene! This one was scanned from a recent addition to my collection, an old Circa 1941 Printer’s Catalog. The Catalog does not appear to have ever been copyrighted, as there is no copyright mark on it. You might also like another image from the same book HERE. 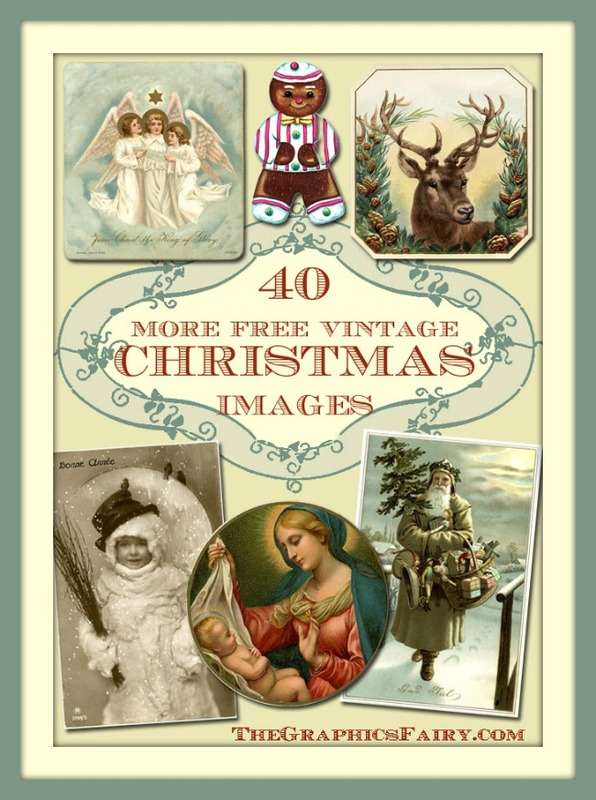 Wooden Sled Images Cute Retro Elephant Advertising Graphics! Vintage Baby Bonnet Image! Karen, this is so beautiful! Thank you! I love this unusual image. It would look lovely in blue too.